#SummerWeddingSeries – Magical and Romantic Wedding Venues to Tie the Knot! Taking cue from movies like Wedding Crashers, 27 Dresses, Couples Retreat and all-time favourite The Hangover 2, destination weddings are trending and how! We’re back with our #SummerWeddingSeries! This time as you’ve read in the title, we’re taking you on a tour to all the awesome locations you can possibly host yours or your best friend’s summer wedding. With heat waves making a slow and steady entry into India, we would recommend you drive away from those yawn-worthy AC banquet halls. Instead, choose from these perfect destination venues that will make your celebration extravagant - without having you or your bridal party drenched in sweat (dance sweat does not count). Since, we’ve sworn to being your ultimate wedding guide for summer weddings. We’ve pledged to offer unique ideas and inspirations. From hill stations to breathtaking islands, you’re sure to be swooned by these selections that will change your outlook towards weddings. Getting married amidst vast acres of lush green land and the view that will surely make your heart skip a beat, Aamby Valley City is one such wedding venue that has the kind of “wow” factor you’re looking for to incorporate in your wedding. With choices of 10 venues, each spectacular than the other, you will be spoilt for choices. Located in the coolest and pleasant hill station of Lonavala, Aamby Valley City has the most favourable conditions to host your grandeur and exuberant wedding festivities. A location that has its temperature dropping as low as 12 degrees in summer you needn’t be Einstein to know that nothing beats this location. Fernhills Palace Hotels in Ooty is a heritage hotel that makes wedding celebration a royal affair. Picture this: 50 acres of estate featuring expansive lawns, gorgeous gardens, dense forests with rich and stunning views, overlooking lush green valleys and tea gardens. Getting married amidst all this natural beauty is indeed bliss! Perfect for a resort style or poolside wedding celebrations, The Upper Deck Resort located in Lonavala offers serene beauty under your feet, over your head and everywhere you look. What adds to all the romance in the air (at this venue) is the unique heart shaped pool, which is a perfect addition to your dreamy wedding festivities. With most tourist attractions nearby it’s a great getaway for you, your family and friends. If you’re a nature lover, JW Marriott located in Mussorie near Dehradun will blow your mind! Offering a 4,000 sq. ft. elegant venue at your disposal, JW Marriott brings the Himalayas at your doorstep. Host your outdoor wedding ceremony amidst a hilly view followed by a posh indoor reception in its grand Orchard ballroom. Your guests are sure to be thrilled to be a part of your wedding if held at JW Marriott Mussorie. Weddings are a once in a lifetime moment. To successfully make it an unforgettable event it doesn’t get any better than Le Méridien Mahabaleshwar Resort & Spa. Set in the forested valleys of Western Ghats, the hotel offers a perfect combination of indoor and outdoor facility accommodating all your needs for a pre-wedding and reception requirements. Extremely spectacular view of the valleys around during the day, and at night the magical light setting is extremely beyond belief! Perfect for an intimate wedding celebration, Cama Rajputana Club Resort has everything you ever dreamed of to have in your destination wedding. The go-to for dinners and dances by the British and Maharajas, this hotel knows exactly how to add the right amount of royal touch to your festivities. If you wish to add some adventurous activities to your celebration, the facilities and outdoor activities offered at Cama have got you covered. Economical, breathtaking and stress-free is how you can best define Samsara. Nestled in Jim Corbett National Park, Samsara is ideal for intimate, as well as large gathering weddings. Say “I Do” in the most scenic and mesmerising natural beauty of the resort. There are endless reasons why Aamod at Bhimtal should be your ultimate wedding destination at Nainital. Some it being, easy accessibility, magical surroundings, manicured lawns, poolside lounge, experienced staff and widest array of onsite amenities. Nothing surpasses this location in Nainital. Whether you book this venue just for your wedding and reception or host your pre-wedding functions too, Aamod ensures you and your guests are total immersed in the beauty and great hospitality Nainital has to offer. If looking for a 5-Star option, what better than The Leela, located in Kovalam, Kerela. Offering a scenic cliff-top setting overlooking pristine beaches backed by world-class dining, seamless service and palatial accommodation; you’re guaranteed the feel of heaven on earth. Offbeat couples can opt to host a dreamy beach ceremony and follow it up with a cliff-top reception. While for those who wish to host a traditional reception, The Leela’s convention centre, being one of the largest event venues in Kerela, is ideal for a large gathering celebration. 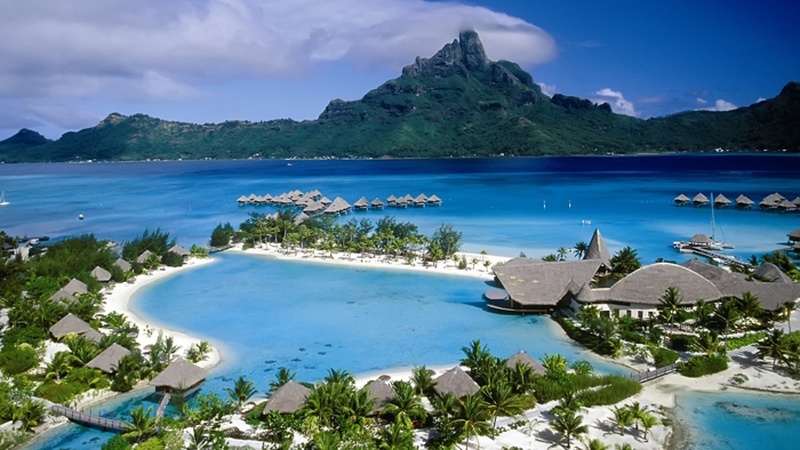 Fly a little away from India and land at the most beautiful of all destinations, Andaman and Nicobar Islands. A little paradise called Munjoh is guaranteed to make your wedding the talk of the town. A major plus point of having your wedding away from home at this drop-dead gorgeous venue is that it will also turn into your honeymoon getaway. Munjoh is where serenity meets adventure and luxury. The venue will assist you in hosting a stunning beach or underwater wedding and entertain your guests with SCUBA trips, nature walks, snorkeling excursions and more.